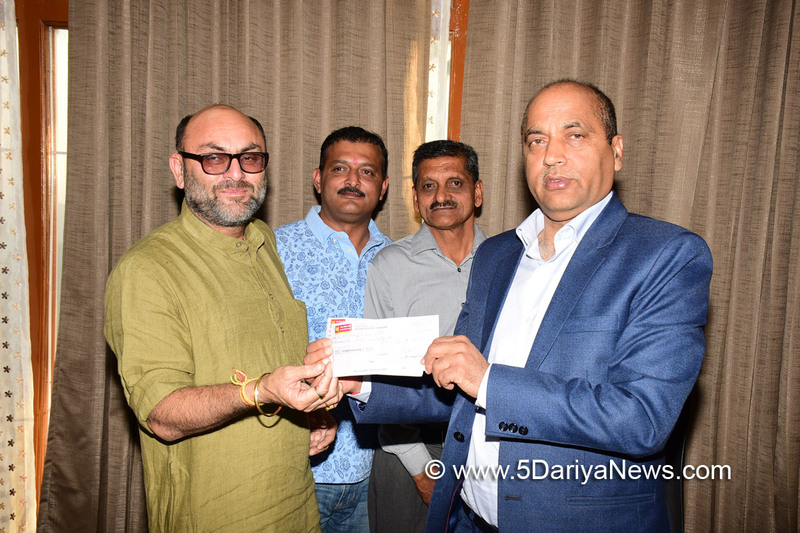 Chief Minister Jai Ram Thakur was presented a cheque of Rs. 50,000 by Rajesh Thakur, MLA from Gagret towards the Chief Minister's Relief Fund here today.He also presented another cheque of Rs. 31,000 towards CMRF on behalf of Mawa Sindhian Social Organization Gagret, of district Una to the Chief Minister.The Chief Minister thanked the MLA and the Mawa Sindhian organisation for the noble gesture which will go a long way in helping the needy.